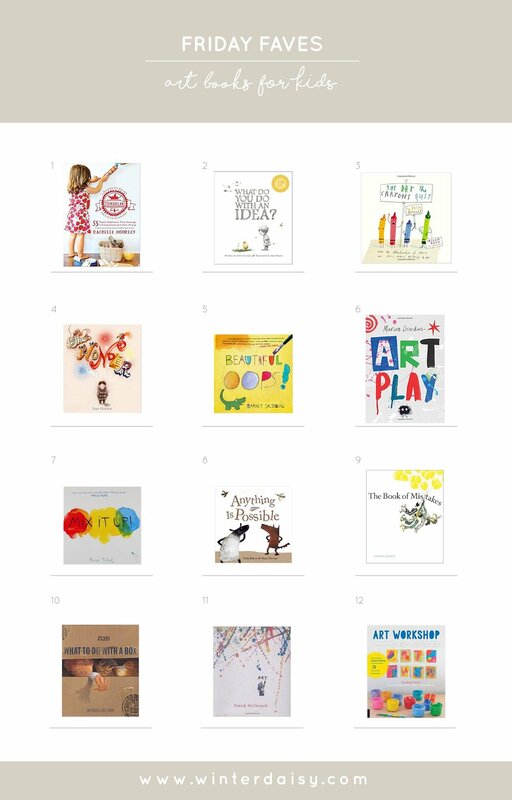 If you've been following along for a while, you will know that I LOVE children's books as much as book walls and try to encourage reading in every way I can in our household and in client spaces. 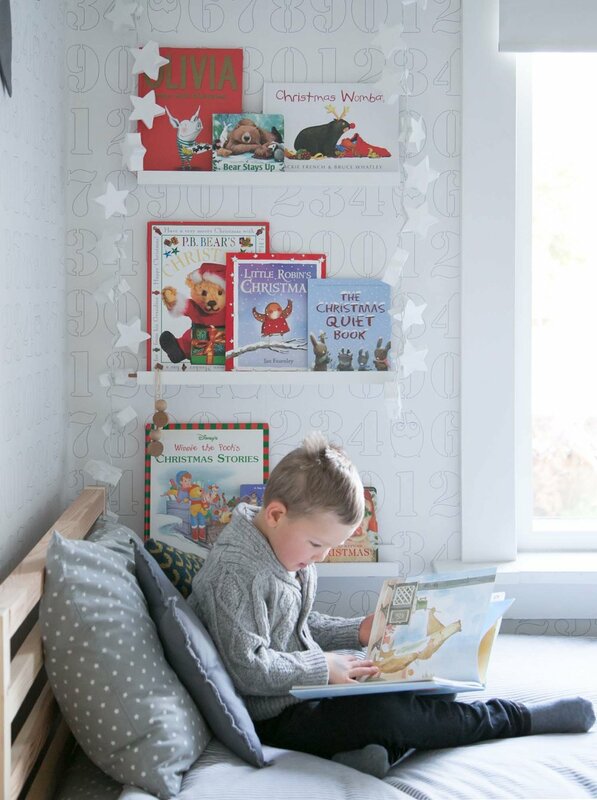 Book walls provide an easy way to display different toys and of course, books! At this time of year, I switch up the every day books for books about winter, Christmas, Hanukkah, whatever else that feels like December and holidays for your family! A few years ago, we wrapped up books for an all-book advent calendar and it was the perfect way to start a family collection of stories for this time of the year. The following years we have given the kids a new book on December 1st to launch the holiday fun. 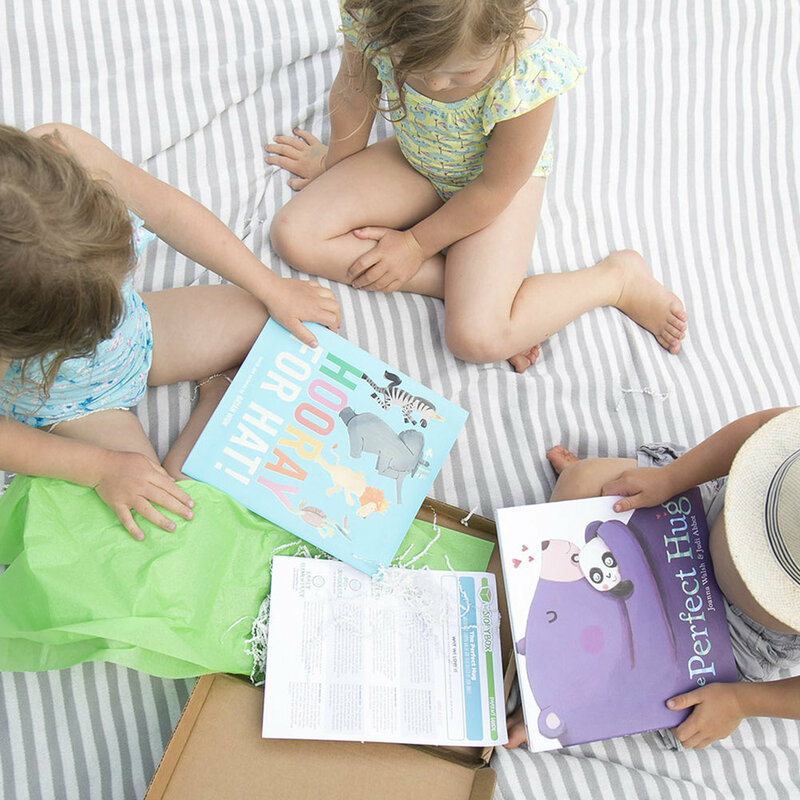 If introduced right from the start, books are loved by all. They will make the perfect gift for your own little ones but also make lovely gifts for cousins, nieces, nephews and any little friends. Here are some of our tried and true favourite Christmas / holiday / December books! 01. // The Christmas Quiet Book; 02. // The Polar Express; 03. // Snowmen at Christmas; 04. // A Christmas for Bear; 05. // Christmas Wombat; 06. // Bear Stays Up For Christmas; 07. // Belle & Boo A Very Merry Christmas; 08. // Little Blue Truck's Christmas; 09. // Twas The Night Before Christmas; 10. // Hannukah Hop; 11. // The Jolly Christmas Postman; 12. // The Little Reindeer. We also LOVE 'Little Robin's Christmas' but I couldn't find it in stock anywhere online. It is a lovely story so check your local bookstore to see if it is there. It's that time of year again where we are reading more books. We read books at bedtime every night all year but now they start to creep into our routine at other times too (waiting in the car, after school downtime, weekend mornings). It Starts with a Seed is a new favourite book in our house this Autumn that we are all in love with! 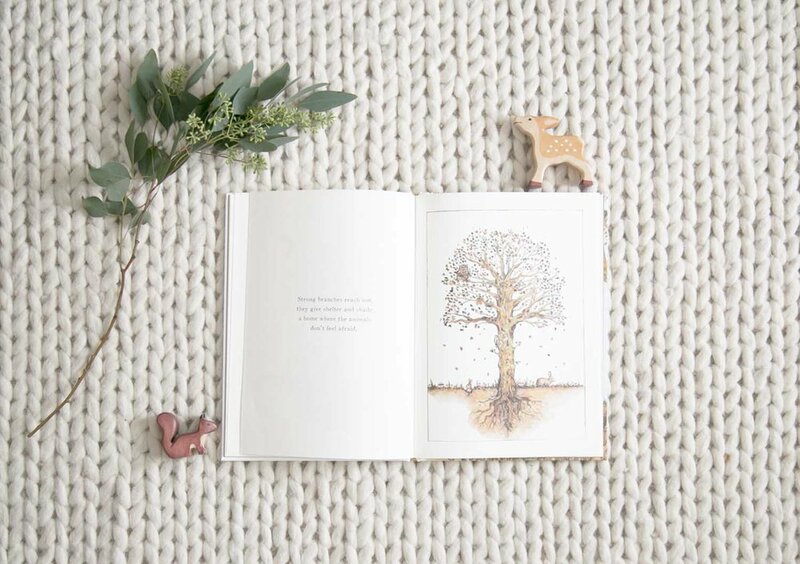 With both magical illustrations and lovely words, the book walks through the journey of how a tiny seed becomes a home to creatures, grows leaves and becomes a beautiful tree. The colours and stages scream Autumn but truly this book captures all of the seasons and lasts throughout the whole year. You can find this gorgeous book on Amazon in the US here or in Canada here. You can also find at your local neighbourhood bookstore. Happy Thursday friends! !